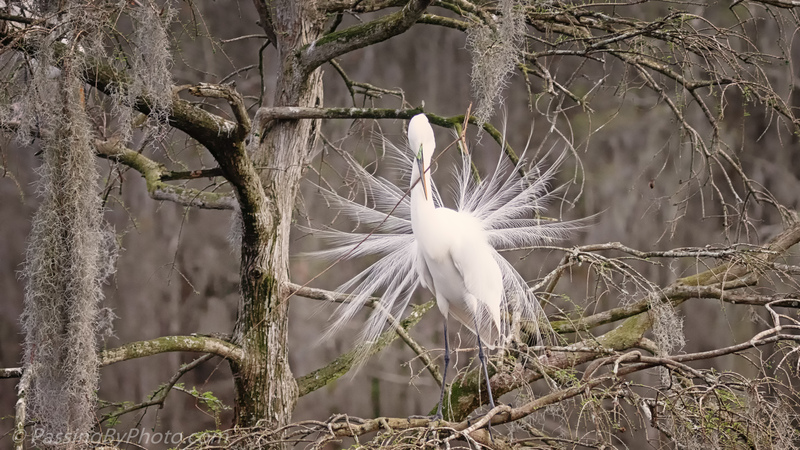 This Great Egret wasn’t having much luck attracting a mate with his beautiful dancing but that didn’t stop him from working on a nest. He had a good location in the tree and I suspect did not want to give it up to go searching for building materials. With a mate selected one would stay on the nest site to keep intruders away. 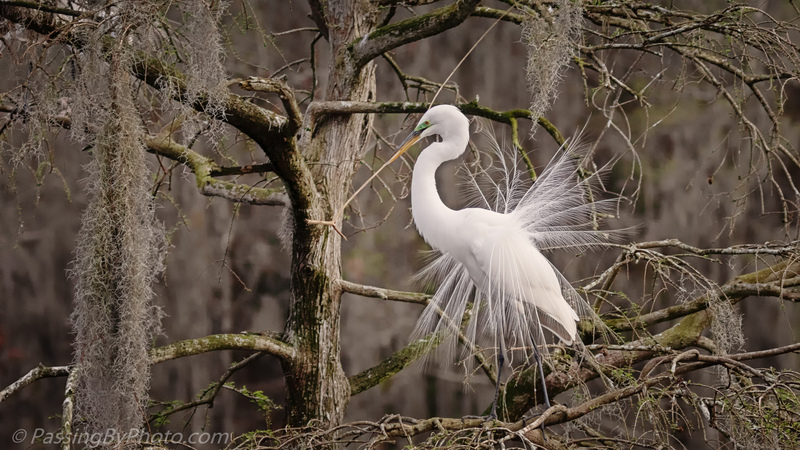 Instead he grabbed pieces from the limbs around him, continuing to display those gorgeous tail feathers. Previous PostGBH: Nest DutyNext PostHow Do You Choose? It’s fun to see the activity, and such a pretty bird! Thanks, Paz! 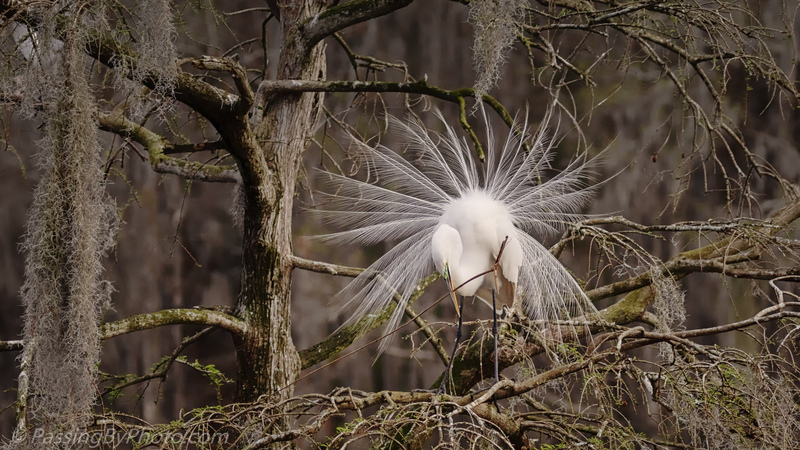 The Great Egrets are interesting to watch and you can’t beat their style. Thanks, Donna! This is quite entertaining to watch. We should be seeing some chicks soon, but many of the Great Egrets have been run off by Anhinga so there won’t be as many as last year.